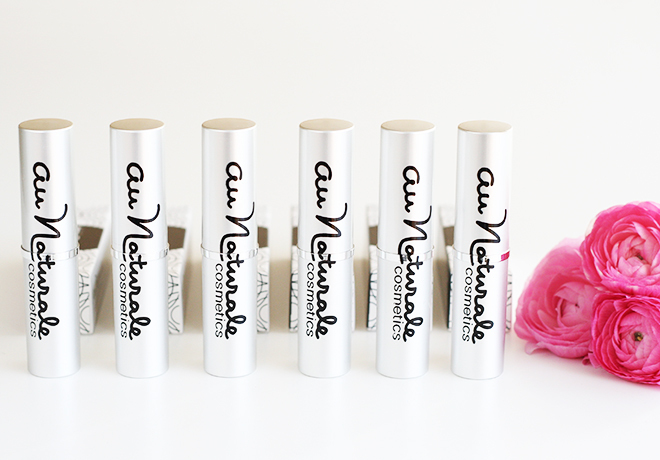 It’s no secret that Au Naturale Cosmetics is one of my all-time favorite organic beauty brands. I have raved many times about Au Naturale highlighter here, on the blog, which is still a loved item for my everyday makeup routine. So I was very excited to give a try to other products from the brand’s amazing organic and vegan makeup range – its Organic Creme Foundations*. 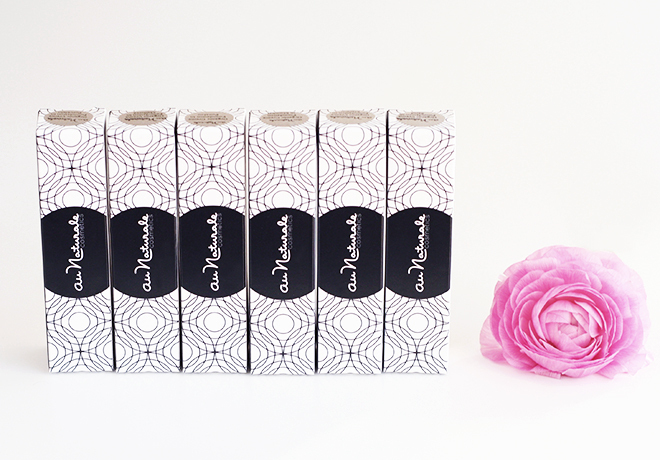 The packaging of Creme Foundation is typical Au Naturale gorgeousness – sleek and matte silver tubes with the brand name. The foundation comes out of the tube easily, with a single or a couple twists. Because it’s a cream foundation, its formula is quite soft, so I try not to get too much of the foundation out. Otherwise, it does not get back into the tube, and I have to push it back with my fingers. Titanium dioxide and zinc oxide – offers broad-spectrum SPF protection (the cream foundation has SPF15 protection). Limnathes Alba (Meadowfoam) Seed Oil, Capric Triglyceride, Ricinus Communis (Castor) Seed Oil, Brassica Abyssinica (Abyssinian) Oil, Simmondsia Chinensis (Jojoba) Seed Oil, Titanium Dioxide, Zinc Oxide, Mica, Silica, Euphorbia Cerifera (Candelilla) Wax, Iron Oxides, Cucurbita Pepo (Pumpkin) Seed Extract, Manihot Esculenta (Tapioca) Root Starch, Organic Lavandula Angustifolia (Lavender) Oil. Vegan. The Creme Foundation is available in 12 shades to match all skin tones, from fairest to dark. I have good news for my fellow fair skin girls who are struggling to find a foundation that isn’t too dark or too pink – the shade Porcelain is pretty fair AND with neutral undertones. MARINO: for light skin with neutral undertones. It’s very similar to SAND but slightly darker. MUMBAI: for dark skin with warm/golden undertones. PUNALUU: for earth brown with neutral/golden undertones. See the rest of the shades. The application is simple with this foundation. I’ve tried to apply using different methods: with my fingers, with a flat-top kabuki, and with a large foundation brush. I am not the biggest fan of applying makeup with my fingers, so it was rather an exception, but I find that this method works best. It works even better if your hands are warm – the finish is nice and even. The flat-top kabuki application was my least favorite. It might work for someone who prefers a full coverage or doesn’t have dry skin. However, I found this way of the application made my skin look cakey. The best results I’ve achieved with a large foundation brush – I could easier manage the amount of coverage I wanted and to blend in the foundation well, and I didn’t need to directly touch the product or my face. One of the best advantages of this foundation is that it will work for pretty much all skin types. However, if you have extremely dry skin, make sure to moisturize it well or use a primer before applying it, because it might accentuate dry patches if you’re not careful. The Creme Foundation was developed to create a naturally flawless complexion, and it offers a medium buildable coverage. I do not use a concealer with this foundation because it covers my redness well on its own. It also makes face lines and pores less visible. The finish is semi-matte. It does stay all day, however, since my skin isn’t oily, I can not comment on the longevity for oily skin types. 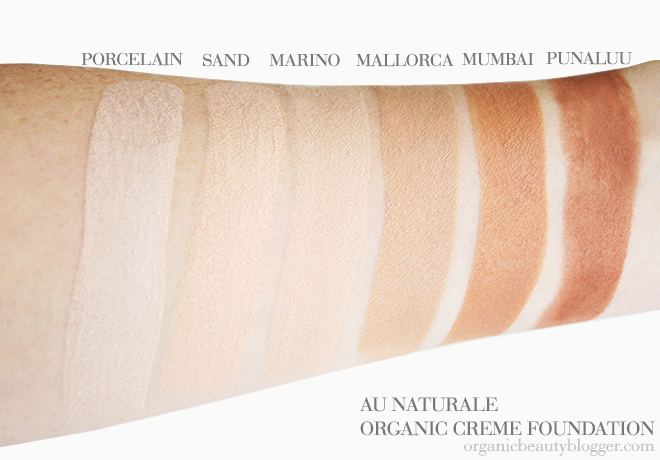 Au Naturale Organic Creme Foundation is available online at Au Naturale for $38/£30. 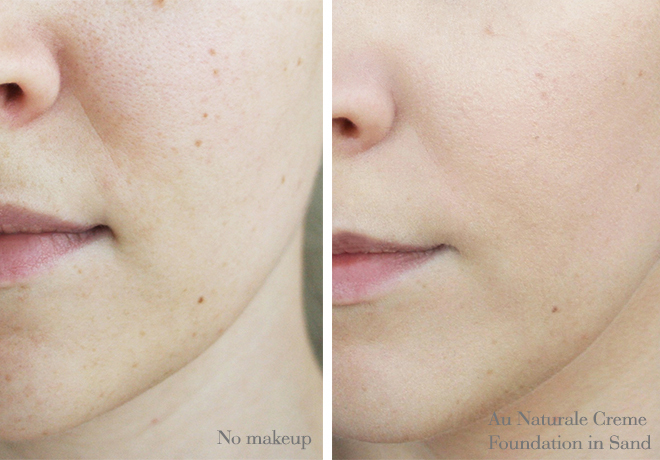 Have you tried this Au Naturale Creme Foundation? Good to hear it applies easily with the fingers, as I almost always use my fingers nowadays. I’ll have to take a look at this, though I’m a bit conflicted whether Marino or Mallorca would be better suited for my skin type. I feel like I fall in between. 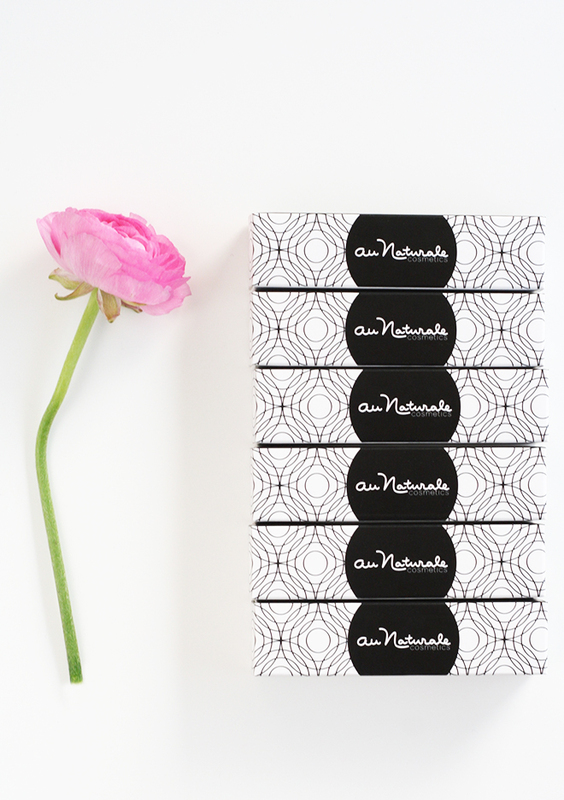 If you’re in between Marino and Mallorca, take a look at Lucia at Au Naturale website. The description says that it’s a shade darker than Marino and a shade lighter than Mallorca. Haven’t tried Au Naturale before, so I’m very happy to see your recommendation. Would love to try the foundation. I’m glad you found the review helpful! Fantastic review! I have been looking for a great all natural foundation and this may just be the ticket! Very thorough and gorgeous pictures! We are huge fans of AuNaturale, too! There is so much to live in their line!